Disclaimer: This is not a sponsored post, just an honest-to-goodness relaying of my experience in shopping with Lazada. Whenever there's a product in an online shop that I just have to buy or else I'm going to feel sad about it for the next weeks, I end up the latter because I live in the probinsya. It's not like I will be transacting with an online seller in Instagram or Facebook who can ship the purchase through LBC or JRS and I can just pick it up. However, last March 19 when Lazada had a big, big sale, I couldn't resist. I gave in despite the fear that the delivery people won't be able to locate my location, because as far as I know, houses in Marawi City aren't numbered in an organized manner. I asked PhilPost themselves. Our house used to be 41, but now our front door is assigned 010-B Sheik Abdurrahman St. and our back door gate is a different number and a different street. At first glance, the website of Lazada comes of as tacky. 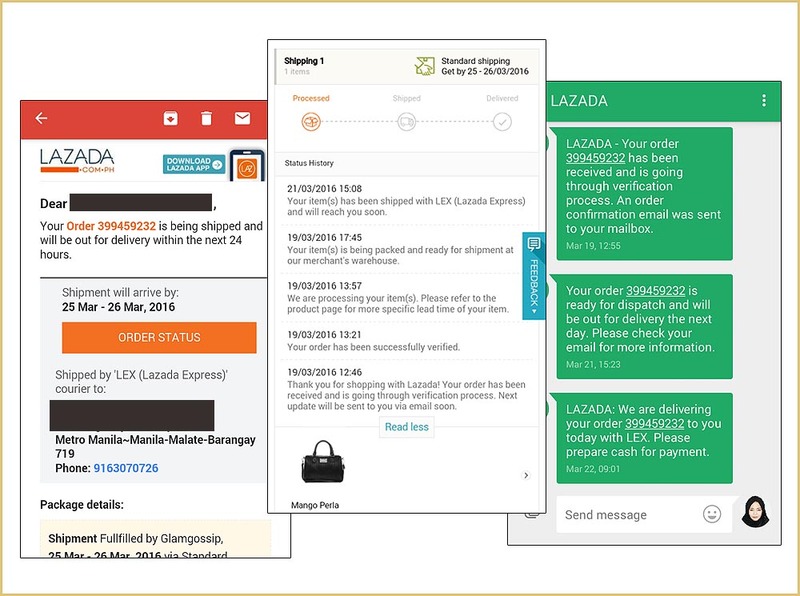 Compared to Zalora, Lazada's products aren't as curated well. However, Lazada carries so many brands, both high end and low end, not only fashion but gadgets as well and so many more. 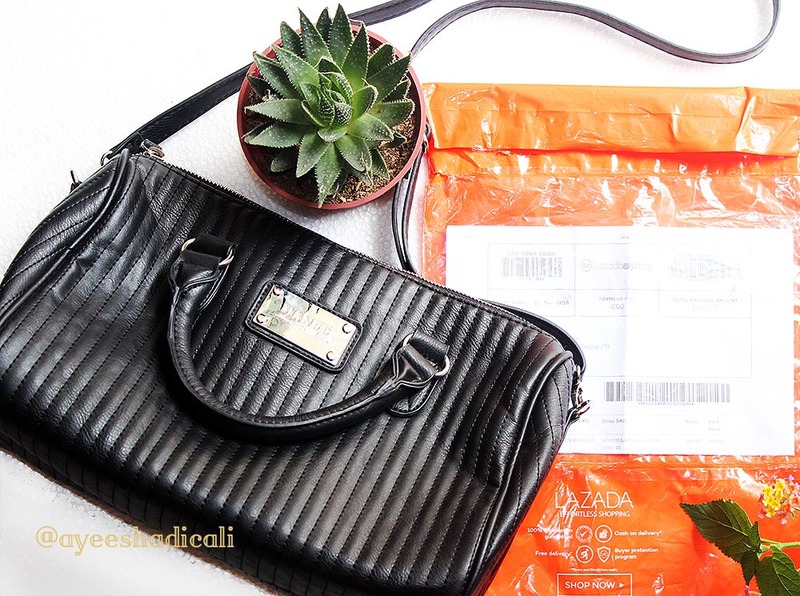 When I saw the black leather Mango Perla bag, I knew it's the one. Not only is it fit for my personal style, it was also being sold at a fraction of the original price. So I thought, it's cheap, I am not losing that much money if it gets lost in the delivery. Okay, I'm sold. The mode of payment I chose is cash on delivery. However, I almost backed out when I saw the shipping rate for Mindanao. It's 700 pesos! But I got a clever idea. Instead of shipping it directly to Marawi, I had it shipped to a friend's condo in Manila. Shipping cost in NCR: 55 pesos. I only had to provide a copy of the confirmation email printed and an ID for the person receiving my package on my behalf. After it was paid for when delivered, it was supposed to be sent to me via LBC. But the stars aligned for me and a friend of that friend was flying that night from Manila to Marawi. 1. Easy to follow transaction. 2. They inform you of the whereabout of your purchase every step of the way. 3. Wide array of products and big sales on special days. 1. High shipping rates outside Manila. 2. They said the shipment is expected to arrive on March 25-26, but I got it on March 22. It's not bad that it came early, I was just taken aback when suddenly, I received a text that they're delivering any minute that day. I wasn't ready that day for the payment. Alhamdulillah, my friend whom the package is being delivered to was helpful. Have you guys shopped with Lazada too? 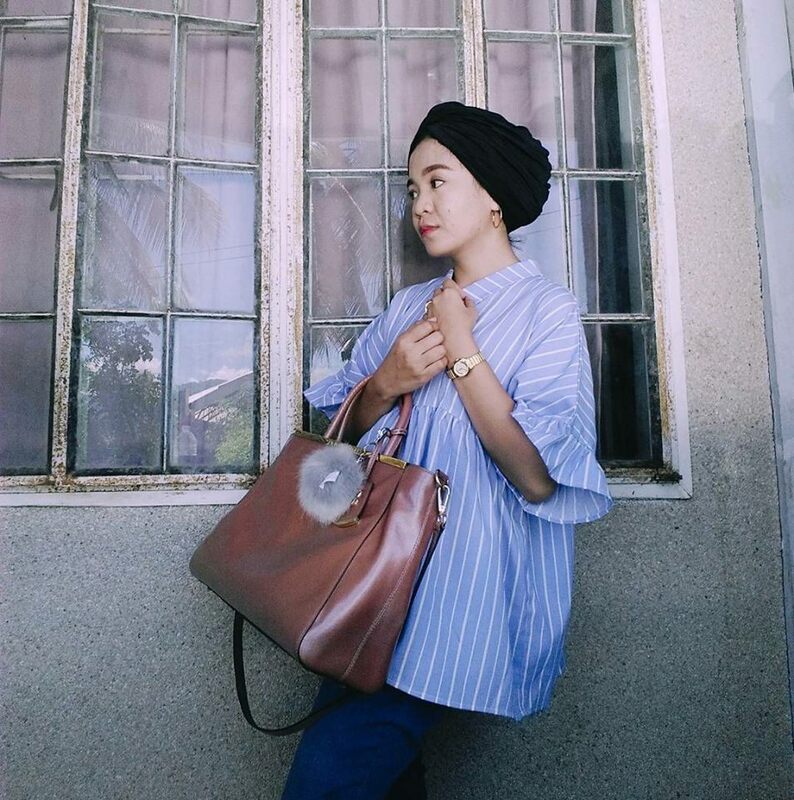 What about Zalora and other online shops for big brands? If only Zalora and Lazada can ship to Marawi. The hassle of shipping it somewhere else, sheesh! I believe there is a market for online shopping in Marawi because of our distance from major malls. They should look into it, seriously. Salam aye. I always buy from Lazada/Zalora. But I always am able to avail free shipping. And andito ako sa Tawi-Tawi which is the farthest island in the whole country (from NCR). Nakakadismaya naman yang 700 na shipping fee. It was my first time Kai. I didn't know how to avail the free shipping. LOL. But in that case, ayos! However, I don't know my exact address. Do they have a for pickup option? Hi, i am from Jolo, Sulu regular ako nagsashop sa lazada more or less mga 50k na ang nagastos ko (BUY and Sell kasi ako) walang problema sa shipping kasi always pickup ko lang sa LBC ang item ko at always free shipping ang mga item ko except sa mga mabibigat like umaabot ng 1kilo my bayad siya. pero 2 times na ako nag order ng flat tv 32inch always free shipping. basta morethan 1k free shipping na siya pero misan meron parin shipping depende lang sigura sa day. ayun share lang. I bought another product, a canon lens, shipping was free.